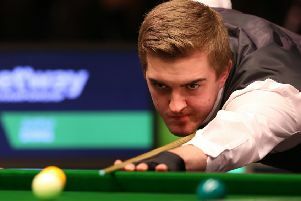 Edinburgh’s Lee Mein made a winning start in his bid to win the The European Under-21 Snooker Championship in Malta. Mein recovered from losing the opening frame against Sweden’s Belan Sharif to pocket the last three frames for a 3-1 victory, making a break of 52 in the fourth frame to secure the win. Mein was then made to work hard in his next match. After winning two frames against Jan van Lierop (Netherlands), the Dutchman won the next two to force a decider before the Lothian ace held his nerve to win the last frame on the black. The three other Scots in the event, Dylan Craig (Glasgow), Rhys Clark and Chris Totten have also won their opening two matches. Craig made the first century of the event with a run of 102 whilst Clark holds the highest break of the event with a break of 110.